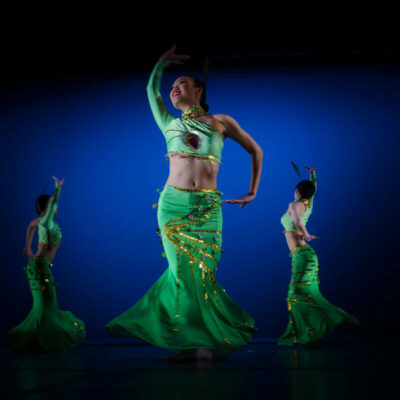 The mission of Little Pear Garden Dance Company is to cultivate, develop, and promote Chinese traditional and contemporary dance in Canada. Embracing our core values of creativity, authenticity, diversity, and excellence, we endeavour to achieve this through training a new generation of artists in Chinese traditional and contemporary dance; creating innovative programming; performing at the highest calibre; and providing stimulating public lectures, workshops, symposia, and demonstrations to Chinese and non-Chinese Canadians. Artistic Director Emily Cheung’s vision is to promote and develop Chinese dance culture in Canada by preserving and recapturing traditional dance techniques as well as expanding Chinese contemporary dance vocabularies through innovations and creative works. She pushes the boundaries of traditional dances by incorporating contemporary aesthetics, techniques, and movements, and by marrying the subtle grace and elegance of classical Chinese dances movements with expressive contemporary dance movements.